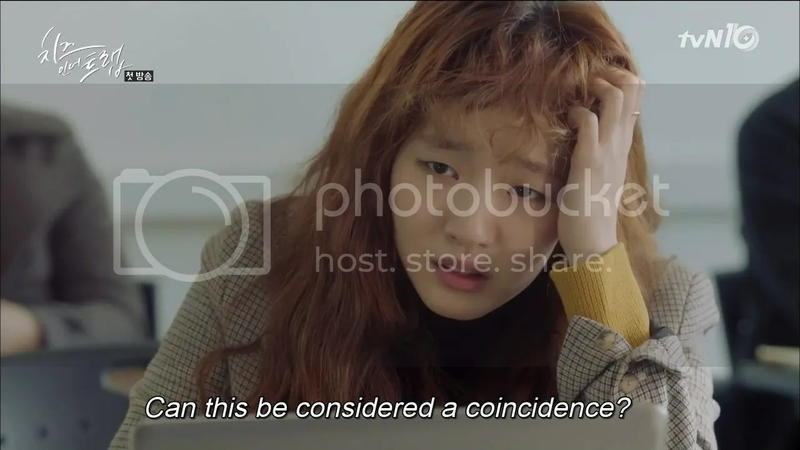 We start off with our completely stoned heroine, Hong Seol (Kim Go Eun), being shaken out of approaching unconscious by her best friend Jang Bora (Park Minji( who tells her to stop drinking. Seol proceeds to ignore her friend and down another, mentally yelling that she’s tried and has had enough. 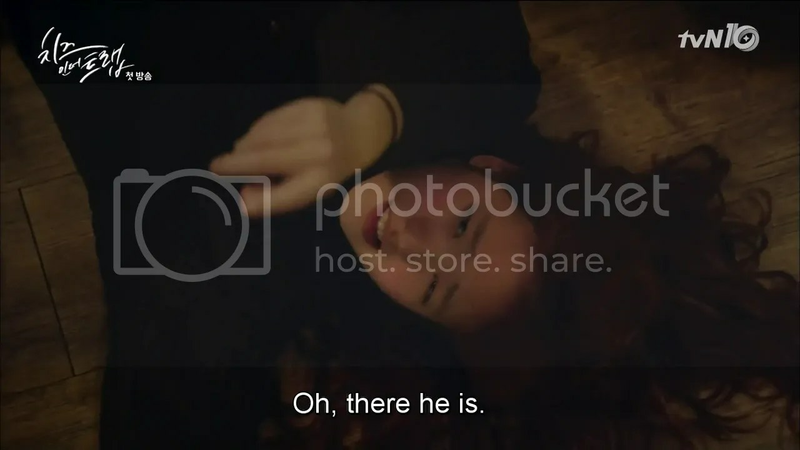 She points to someone we don’t see, saying that it’s all his fault. and tips her chair backwards in the process landing on the ground. He hurries over. She thinks once again that it’s all his fault. He looks worried and leans close just as she blacks out. In voice-over she says that the reason for her wanting to take a leave of absence began a year ago. Turns out Seol took a year off to earn enough to afford tuition. She’s welcomed back by Bora and Euntaek whom she calls her ‘lackey’ saying that is he’s her lackey then he’s Seol’s. Euntaek jests that he’s hurt but doesn’t seem to mind. A rather aggravating fellow in the corner starts to make the most disgusting ssambap (lettuce-wrap) in history with meat, sauce and soju mixed into it. 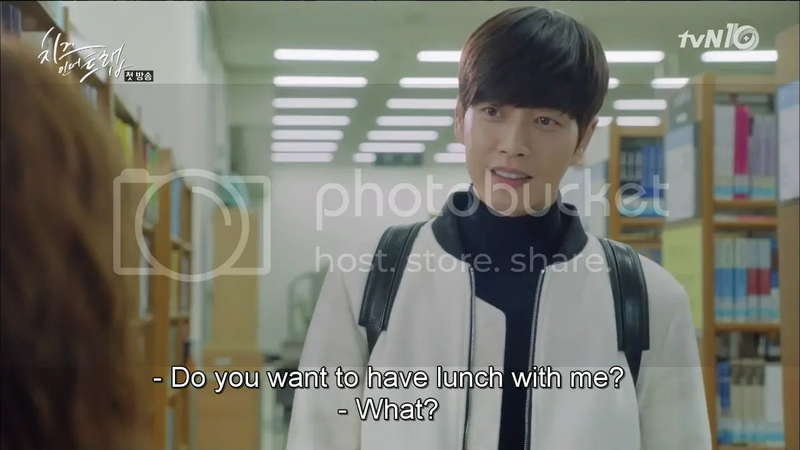 He tries to feed it to a fellow classmate who refuses and then his eyes alight on Seol. She’s the newbie here and forced to rise and take a mouthful of the disgusting wrap. 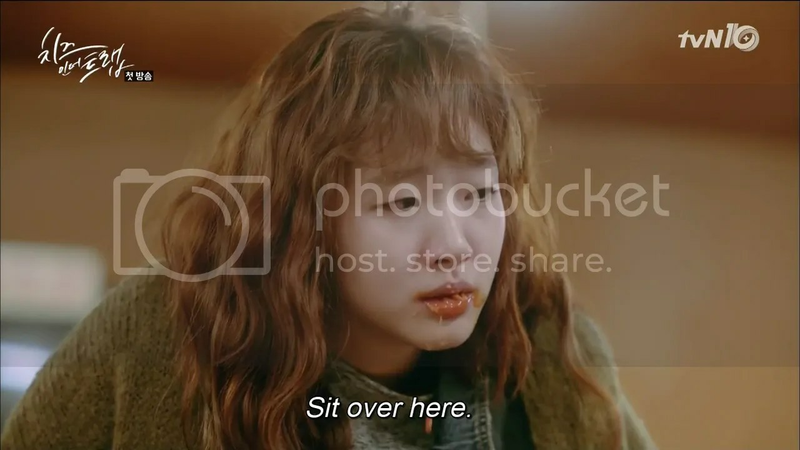 She can’t help but retch at the taste though, and drops it, chewed food tumbling out of her mouth…which is precisely how she first meets Yoo Jung (Park Haejin). She sites down shamefacedly and Bora wipes the excess food from her mouth as Yoo Jung is introduced to everyone. Bora notes that though it’s been a while Yoo Jung’s as good-looking as ever. Seol sees something cold about him though. Bora doesn’t see it but comments that he isn’t her style because he’s just too perfect. (Bora and Euntaek seem to have a ‘some’ relationship going on there) Bora points two girls out to Seol saying that they’ll definitely start to fawn over Yoo Jung in a bid to earn his attention. 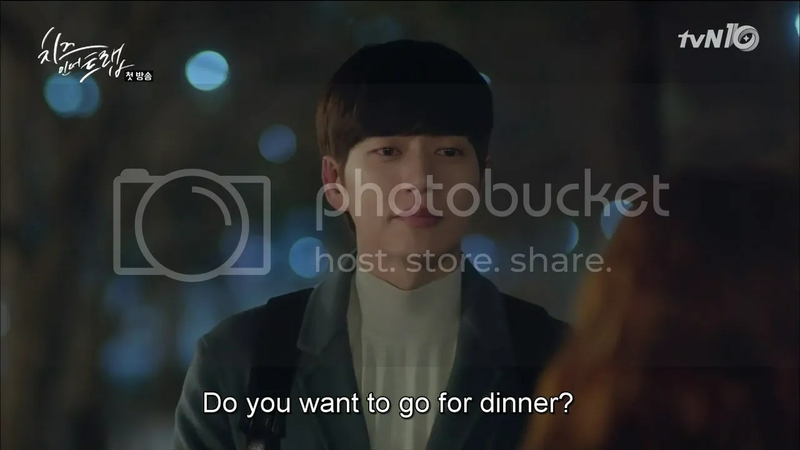 As predicted, both girls begin to ask Yoo Jung what he’d like to eat and whether they could pour him a drink and so on. He politely refuses, the very image of the awkward handsome senior, trying to excuse himself. However, as one of the girl learns him to pour him a drink, his hand tilts the jug towards her lap under the guise of pushing the jug away. 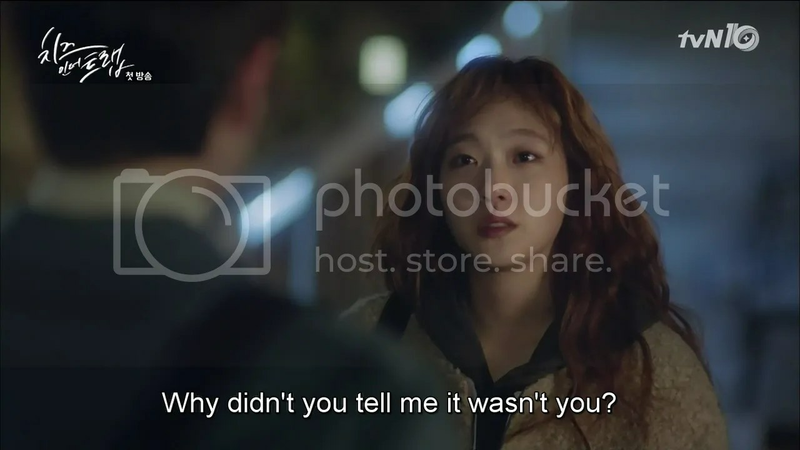 A short number of days later, that Sang Cheol runs up to Seol and yells at her in front of Bora, Euntaek and other students for having posted an anonymous message on the student boards that outed his embezzling from the club fund to the university. It had to be her, he reasoned, because there was no one else in that staircase who’d seen him counting the money. Seol sees Yoo Jung come in at that point and instantly knows who it is. She tells the Sang Cheol that there was someone else that night. Yoo Jung smirks and comes over, telling Sang Cheol that yelling at Hong Seol isn’t right, when she’s in the right and that he’ll sort this all out with him later. 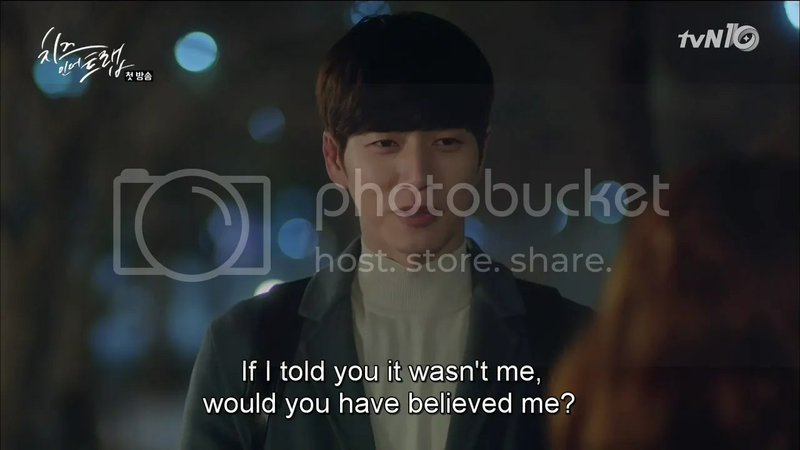 He even has the gall to tell Seol that she was right to do what she did. Seol is pissed at the cause of her trouble defusing the situation though and straight up says that she knows he did it. The girl with him (one of the two annoying ones who’d fawned over him earlier) Nam Jooyeon, asks if she’s insane. Yoo Jung personally convinced each club member not to go the police and even paid the deficit in funds. Seol doesn’t believe it for a minute. Things don’t get better the next day at the university’s coffee outlet. 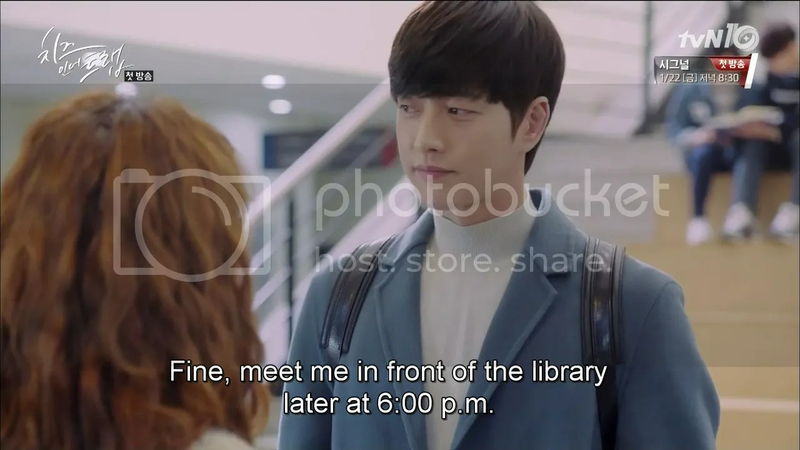 Seol makes to greet Yoo Jung as he lines up behind her but he ignores her which makes it seem like she didn’t greet him at all to an outsider watching. This is what Jooyeon sees and takes offense to. As Seol walks out, she tells her to mind her manners around Yoo Jung who’s only putting up with her behaviour because he’s such a good guy (if only you knew). Yoo Jung comes along right then, all smiles and Seol has no choice but to greet him. He acts all kindly and tells her that he noticed she drinks too much coffee. 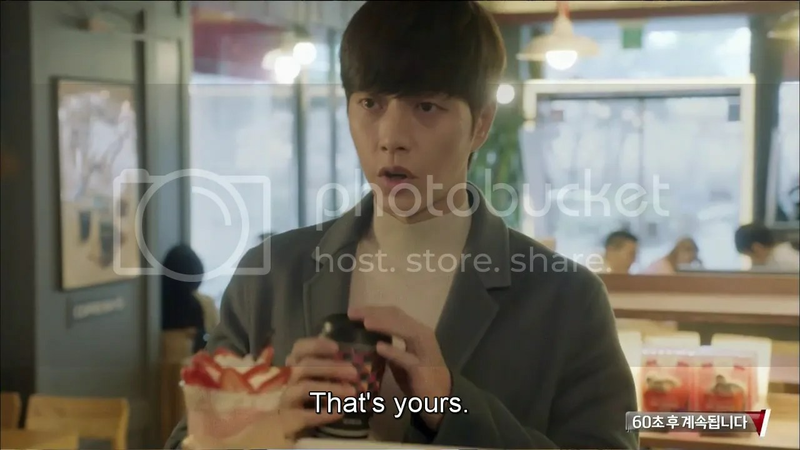 He passes her a healthier drink which royally pisses Jooyeon off because she now thinks that Seol acted aloof to get his attention. Seol can’t help but marvel at his double nature as he leaves. But as it turns out. Yoo Jung and Jooyeon may not be all that different. 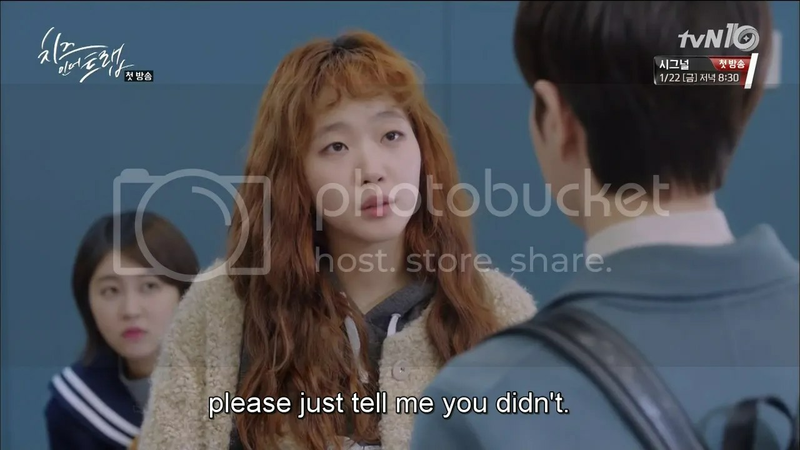 She decides to take things out on poor Hong Seol who is in the middle of a siesta when Bora calls her, and yells that they have a pop-quiz right now and that she should be in class. Seol sleepily mutters that Jooyeon said that class time had been changed and Euntaek has to restrain Bora from launching herself at Jooyeon in anger. Yoo Jung, sitting next to her, hears the whole thing. Seol gets what happened and hurries to get ready and get to school but it’ll take her 20 minutes, as Bora reasons. She’s out of time. He gets very excited at the prospect and has to stop his hand from shaking but refuses at the last minute. The doorknob to the classroom turns and start to rattle and rattle, and Jooyeon smirks, while Bora watches with bated breath. It finally opens and the TA comes in, saying that the prof is ill today. The quiz is still happening though. Euntaek gently takes Bora’s face in his hands. 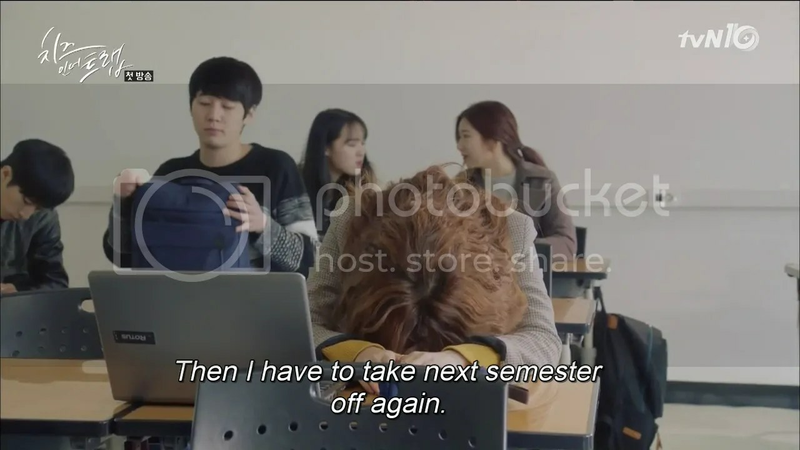 He sneaks out through the back door and comes in, pretending to be a late student then runs over, grabs the test and runs out of the classroom (O.O) A chase begins and the scene cuts between Hong Seol running to class and Euntaek running away. 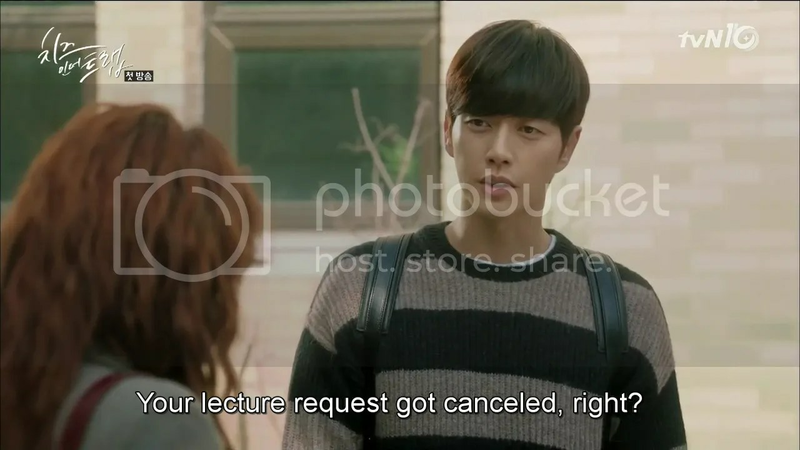 He finally gets caught and dragged to class by his ear just as Hong Seol arrives in class. Bora, Euntaek and her breathe a collective sigh of relief as Euntaek gets his moment as troublemaker and hero. Yoo Jung just smirks. 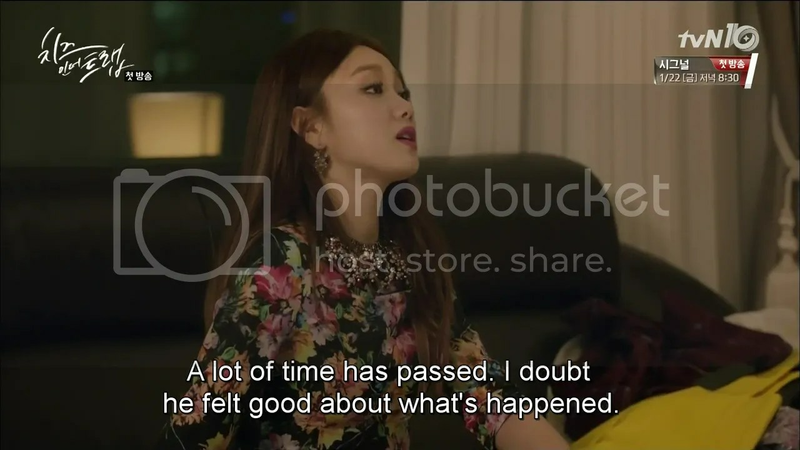 Present-day Seol thinks to herself: Ever since the party, Yoo Jung had skillfully used other people and continued to cause trouble for me. Back then, Hong Seol trips and falls down the stairs, her stuff scattering everywhere. Yoo Jung just lopes behind her. 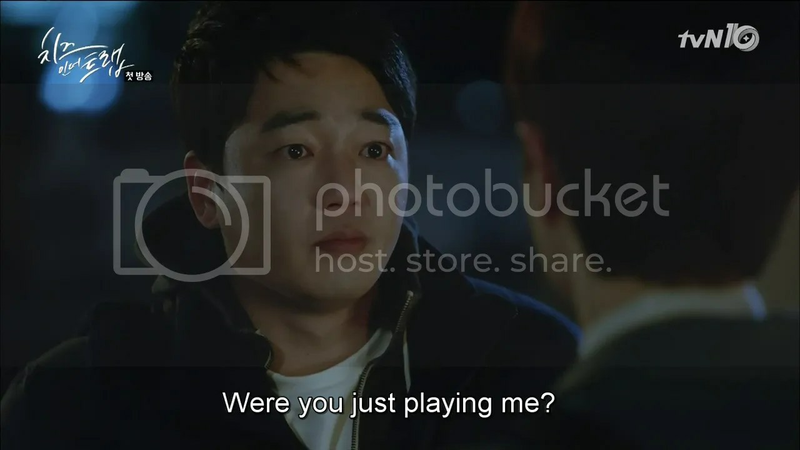 Present-day Seol continues to narrate: That’s when I felt it for certain.His distinct feelings of malice toward me. Because of one person, my school life was like hell. That is why I decided to take time off school. And we’re back to the present. Seol, still in the middle of her part-time job at a coffee shop, sits with Bora who sighs that she’s back to work even after her epic fall yesterday. Seol doesn’t remember yelling that she was going to quite school the night before but Bora does. She takes out an envelope of money and passes it over to Seol telling her to use it for tuition. Seol refuses knowing that Bora was saving that for backpacking but she insists (friendship goals!) saying that school isn’t something one can start to quit so easily and that age matters in jobs these days. Seol says that it isn’t because of money just as Euntaek calls Bora. In a twist of utterly miserable luck for Hong Seol, she’s won a scholarship. Meaning she’s stuck with Yoo Jung for another year (with free tuition this time though!) The next day dawns bright and anxiety-inducing because it’s class-selection day (anyone in unversity gets how bloody awful this day is) and even worse, students in this campus can only select classes while on campus. Cue mass-running to get to campus, get a seat in the computer room, select all your course before 9AM and hope that you get into your first-choice. (Ah, university, definitely worth thousands of dollars..as if). Hong Seol gets in, but Bora is saddled with morning class on three days of the week. The trio has the bad luck to run into Yoo Jung right then. Sang Cheol arrives with Jooyeon by his side. She snipes that Seol but be glad to have the scholarship but she should treat them all to dinner seeing as she did get it because of Yoo Jung. Turns out the TA lost Yoo Jung’s application (why do rich kids need scholarships?) which resulted in Seol getting the scholarship. 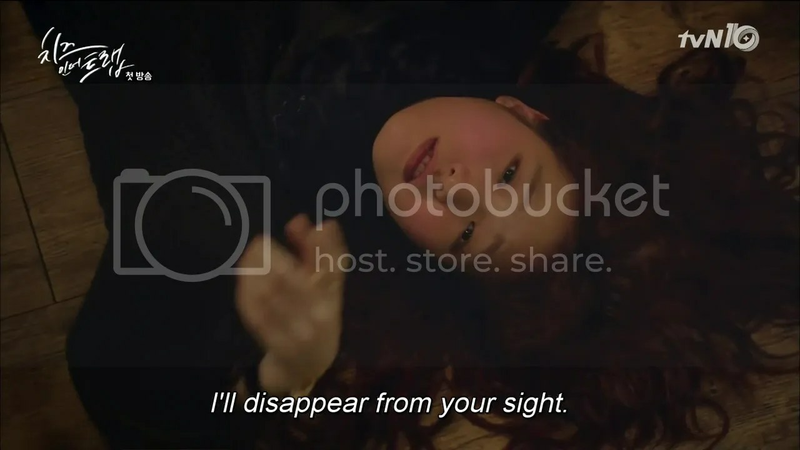 Creepy music plays just as Yoo Jung leans in and calls her name. She hurriedly closes her schedule. He says he’s pleased to see her again, and she freezes. She muses that the extra core would have opened at 12:00pm unlike the lecture she wanted (which opened at 9AM) she was in the library at about then, looking at her schedule, when Yoo Jung had popped up. Eerie music plays once more and Yoo Jung pops up this time again, for real in her new class, saying that he thought it seemed easy. He takes a seat behind her, smiling gently all the time, while she’s ready to tear her hair out at the injustice of it all. She realizes that Yoo Jung’s completely capable of messing with her schedule and glowers in anger. Yoo Jung catches up her with later and asks her if she’d like to have dinner. She instantly refuses. 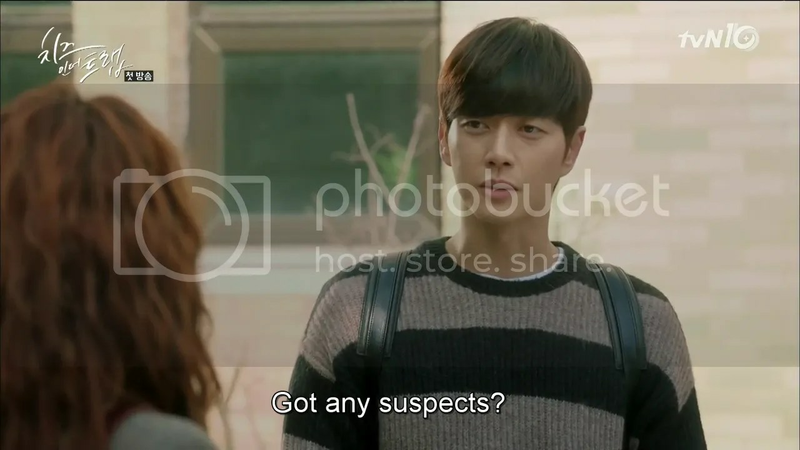 Yoo Jung stares back but Seol fakes a smile and says that she doesn’t but she’ll catch the person involved. Yoo Jung stares after her as she leaves and smirks. He instantly goes to the IT department and bullies talks the admin into getting security involved and tracking the IP address that could have done this. Meanwhile Seol’s not having a good time at Professor Han’s office. 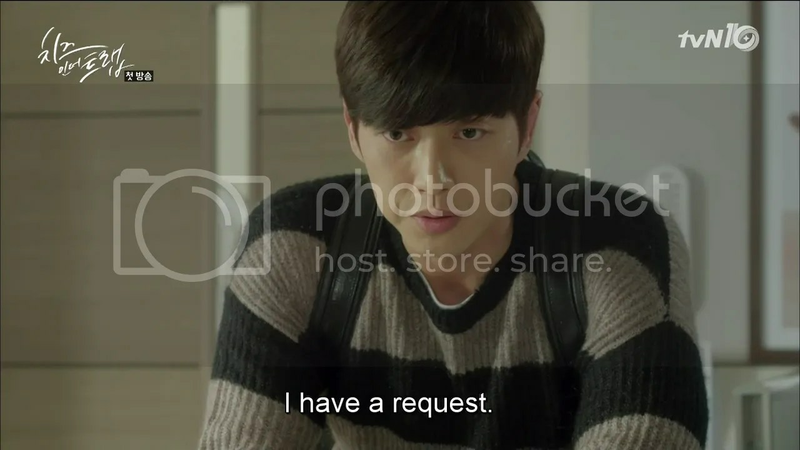 Not only does he refuse to accept her, saying there’s nothing he can do, but Professor Kang (the crappier lecturer, played by Hwang Sukjeong aka. Kim Rara!) enters and spots Hong Seol as someone who doesn’t want to taker her class. Yoo Jung visits Hong Seol during her part-time job the next day. He orders two drinks but gives her the strawberry shake. She gets a class from a classmate right then and dashes out of the shop. Dr. Kang takes attendance and Hong Seol isn’t there. Uh oh. She details how intensive her course is going to be just as Seol enters late. She gets called out for it in front of everyone with Dr. Kang saying that three lates equal an F in her class. She tsks even further upon noticing that Seol doesn’t have her textbook yet. Hong Seol asks a girl if she could look off her textbook. The girl Min Soo is the same one who slunk away upon hearing of Seol’s course sign-up being sabotaged. 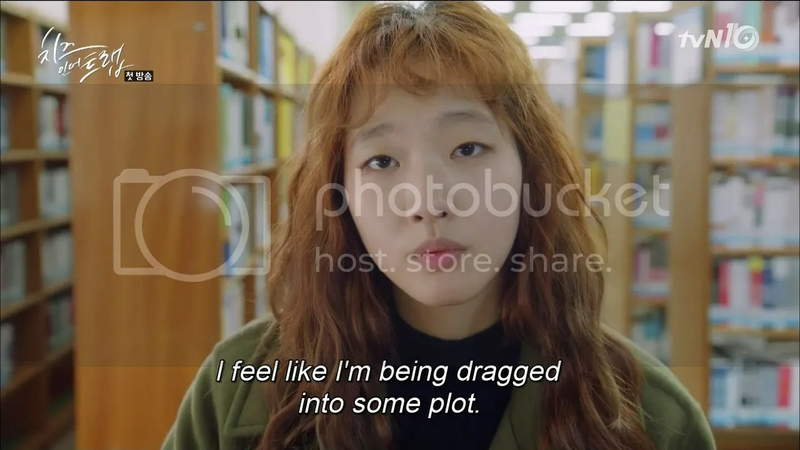 Later, Seol sighs in the library about being targeted by Witch Kang (the nickname for Dr. Kang) just as Minsoo sidles up and mentions having heard of Seol’s problem and that she saw who used the computer after Seol that day in the library. Yoo Jung. With a bystander as proof Seol tells her friends but they don’t believe it. Bora jokingly asks if she’s crushing that hard on Yoo Jung that she wants to go and look at security footage of him. Seol gets up to do it herself only to find Yoo Jung coming towards her. Bora berates her, saying that he has to be innocent if he’s going this far while Euntaek just smiles asking if Seol likes him. She tosses him the drink, telling him to keep it. Meanwhile Jooyeon, Jaewoo, Sangcheol and another friend hang out waiting for Yoo Jung. 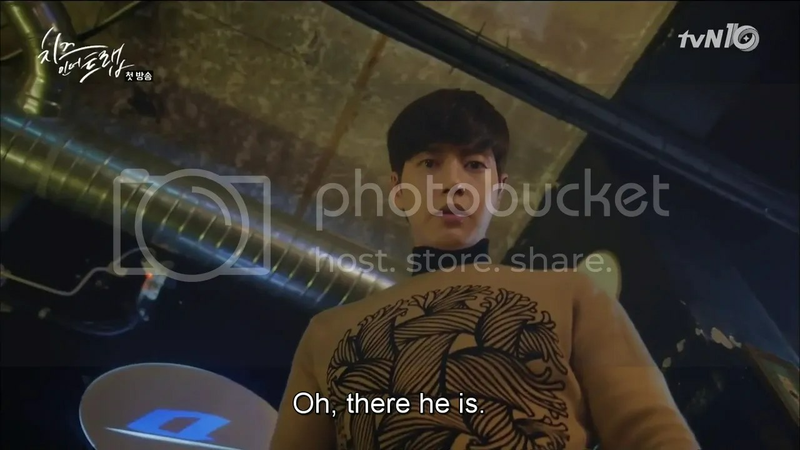 He watches them through the glass pane, and calls Jooyeon saying that he can’t come because he’s going through security footage with Seol. They complain but he says he’ll try and make for their get-together when he’s done. He watches their reactions and Sangcheol immediately tries to wriggle out of dinner while Jaewoo grabs his collar saying that dinner was why he canceled his evening plans. Yoo Jung then pays the security guard a visit. Seol, Euntaek and Bora wait but it’s 6pm and Yoo Jung hasn’t shown up yet. Bora wonders if something was up with him like Seol said. They decide to go on their own, and create a fake scenario to ensure that they get to look at the footage. Bora pretends that she dropped her wallet in the library containing the one and only picture of her deceased mother. The security guard finally gives in and lets them look as he goes on his rounds. The entire spot where Seol was standing isn’t caught by the camera due to a large bookcase but some portion of her form is visible. They watch Yoo Jung stare at Seol for a while before approaching and Euntaek and Bora play out the conversation. Yoo Jung explains that he was trying to figure out who did that to Seol and went through the security tapes. 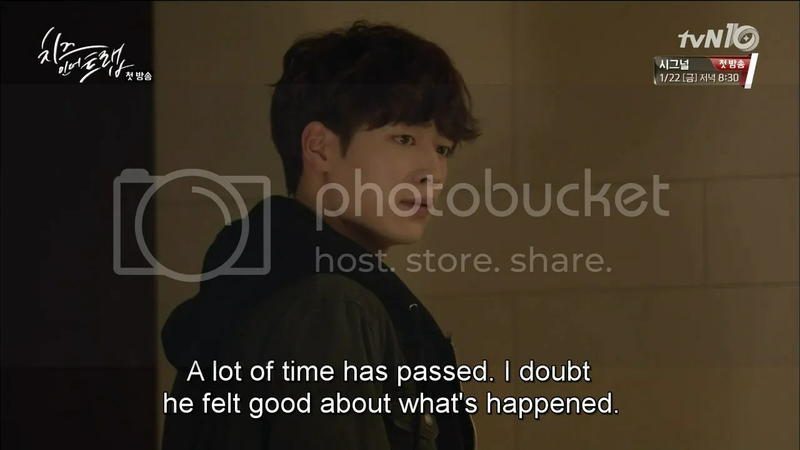 He does n’t go any further staring at Kangcheol and the guy breaks, asking him to look the other way this once and that no one would know if he just kept quiet. 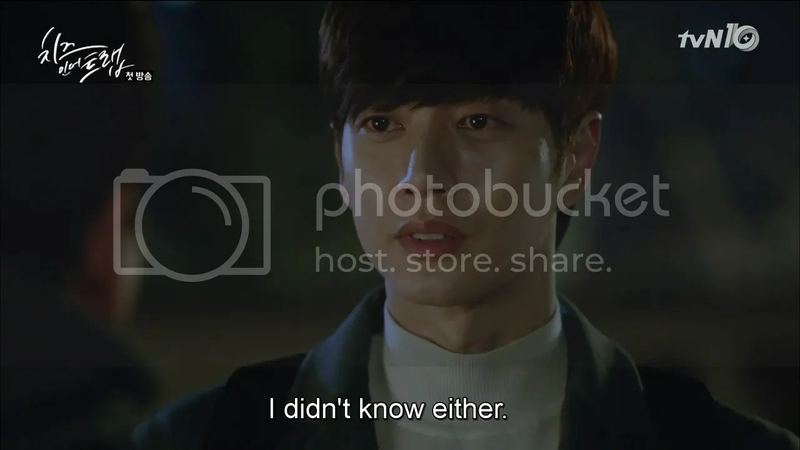 He yells that he didn’t mean to do it but Seol was still logged on and he already had to retake the course and didn’t want Dr. Kang. 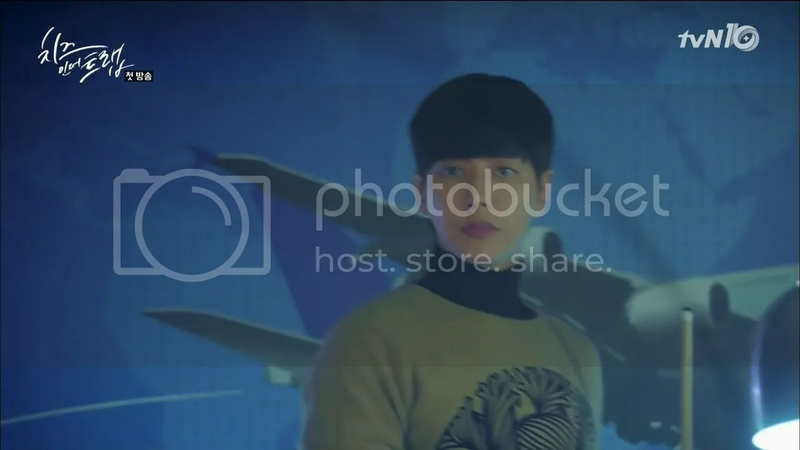 His act of spite didn’t even work out for him because someone else took that spot the moment he dropped Seol from the course register. 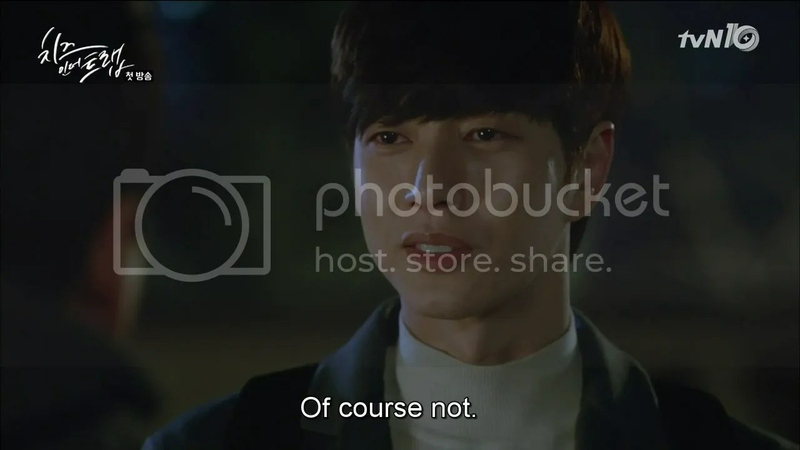 Kangcheol vows that he’ll do everything Yoo Jung asks if he just keeps quiet. 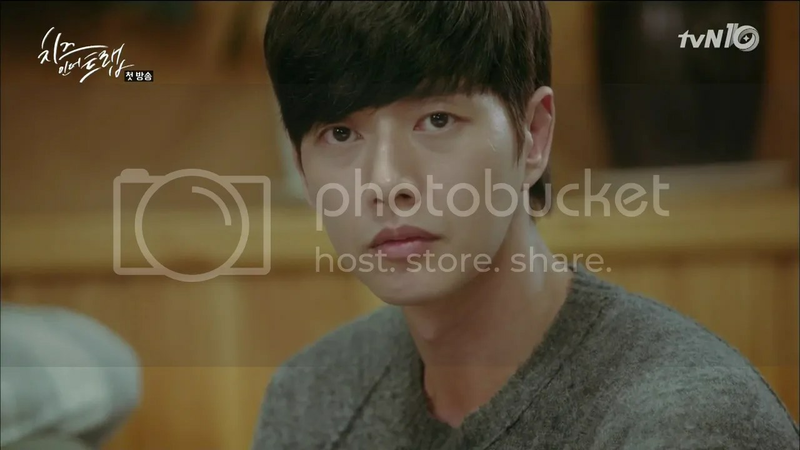 Yoo Jung listens to everything before quietly saying that the camera could really show who was at the computer so all he’d seen was Kangcheol entering and leaving that part of the library really. He hadn’t known what Kangcheol had been doing. 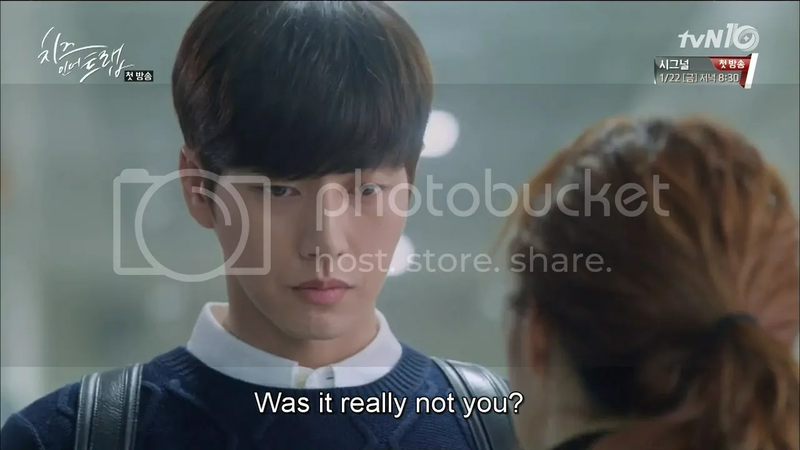 Kangcheol can only eke out a “Jung…You..” Meanwhile Seol and the other wonder who ti was. She declines and offer of dinner from Bora and Euntaek and walks home, lost in thought. Yoo Jung sees her and walks into her path. He asks if she found the culprit. Hong Seol thinks to herself: Why did you give up the scholarship? Why are you in the same culture studies class as me? I have so much I want to ask.I’m not ready to trust your answers for what they are yet. 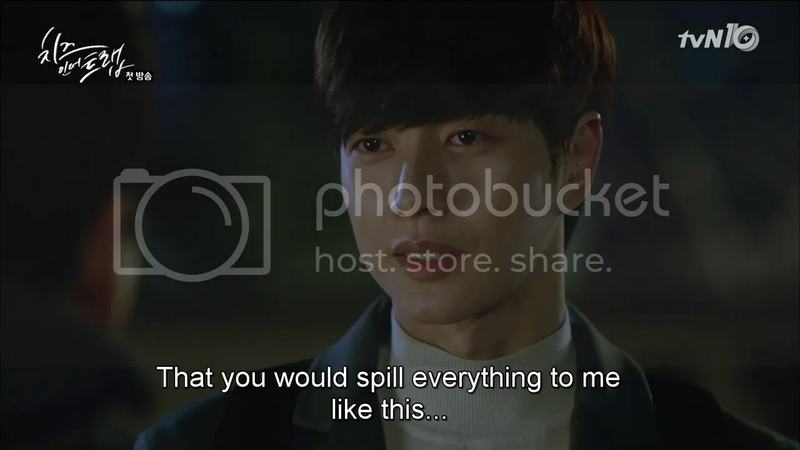 She apologizes but Yoo Jung has other things on his mind. She runs off once more and Yoo Jung watches. At home, she thinks:Just like that, class registration ended. Until the end, I could not find the culprit.I like to think it was someone who was more desperate than I was.That’s what I’ve decided. 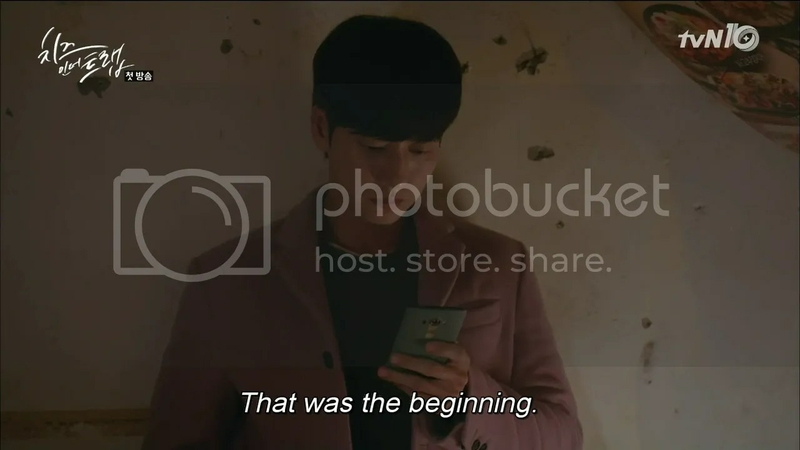 We cut to Kangcheol sitting in a small one-room, eating tune rice, telling his mother that he’s all good and has gotten several offers from corporations to look at, and that he’s going to be successful. 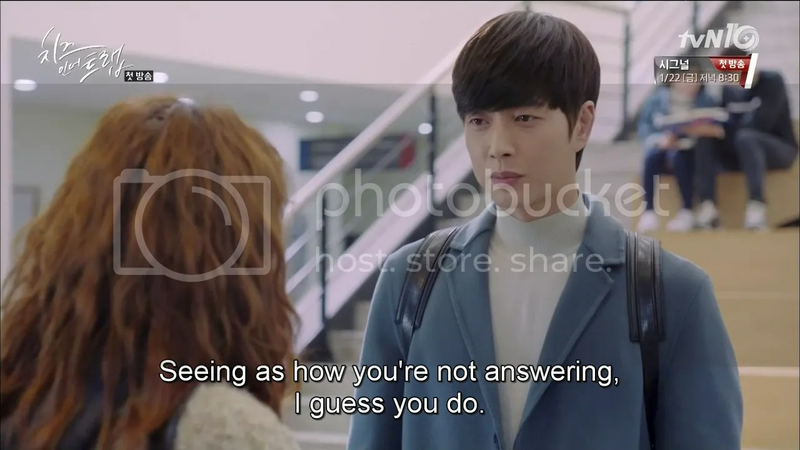 (Put that way, I can understand why Yoo Jung didn’t tell Seol. A devil in angel’s clothes this fellow. Or is it the other way around?) 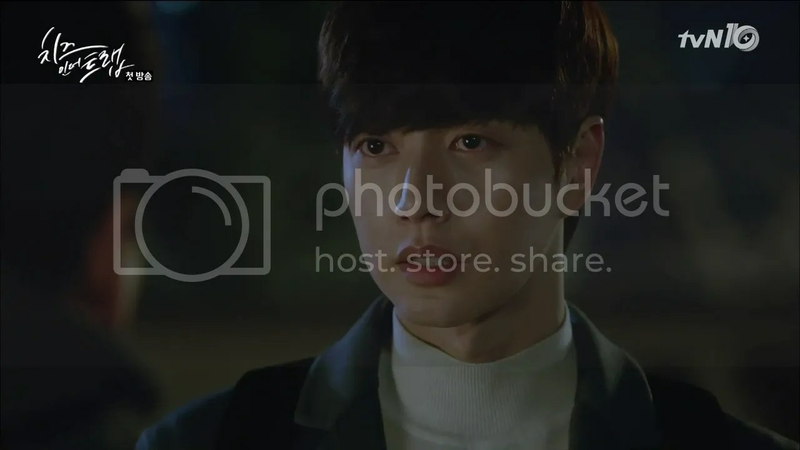 We now cut to our second lead Baek Inho (Seo Kangjoon) who waits in front of a swanky-ish house. 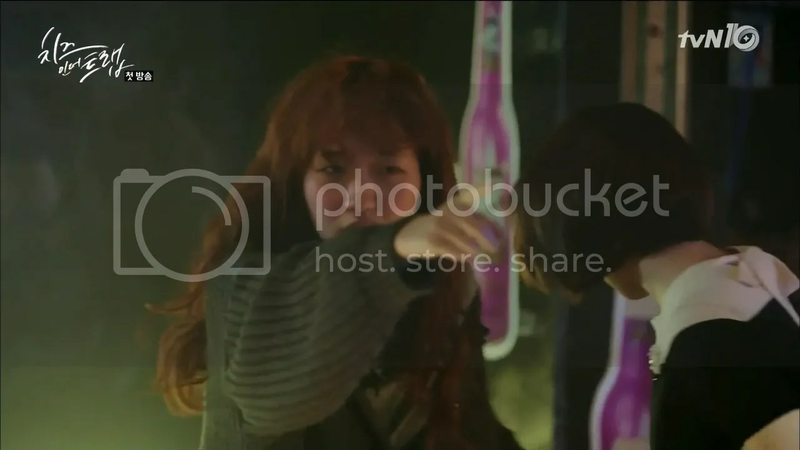 A car rolls up containing our second female lead Baek Inha (Lee Sungkyung) and her date of the evening (or past few evening) who she dismisses and clear has no intention of seeing again. He yells taht he did everything she wanted to and asks if she’s a kkotbaem (gold-digger) which pisses her off. She mutters that she went about doing aegyo and what not so this (the shopping bags she carries) are the least she deserves. The man keeps yelling though. Inho can’t take anymore and jumps in asking him what kind of a loser treats women this way. 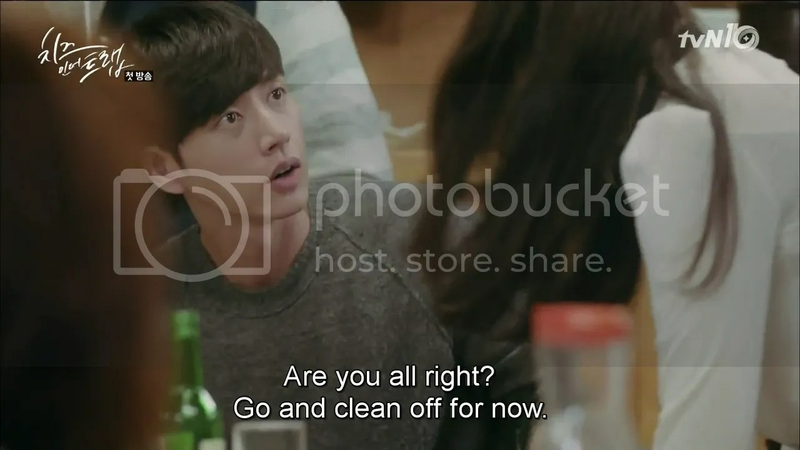 The man assumes that Inho and Inha are lovers and scoffs at Inho’s ragged clothing saying that he’s low, even for Inha. 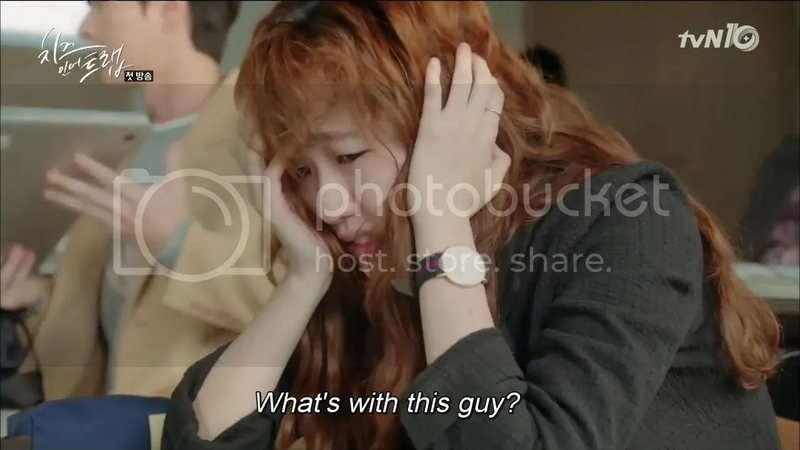 It infuriates Inho who prepares to beat the guts out of the man but he gets into the car in time and drives off, giving Inha the middle finger and saying that she wasn’t that great anyway (does he mean in the sack? Because I hink he means ‘in the sack’). 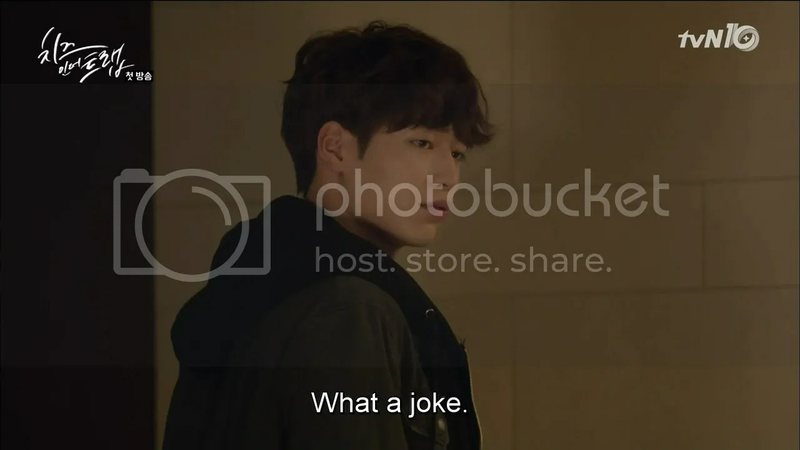 Inha who was relatively calm this entire time, races after the car in heels, prepared to kill but fails to get him. Inho and Inha, who we know to be siblings, retreat inside her swankly home. They clearly haven’t seen each other in a while because Inho had to go to university and tell them that he was her brother in order to find that she’d quit school. He finds her running about with men instead pathetic, while she finds the fact that he ran away from home pathetic. He laughs at her getting her own place set up by the chairman (presumable their father) instead of her own money and she laughs at him getting his treatment and rehab fees payed for by the chairman. The last part infuriates Inho. 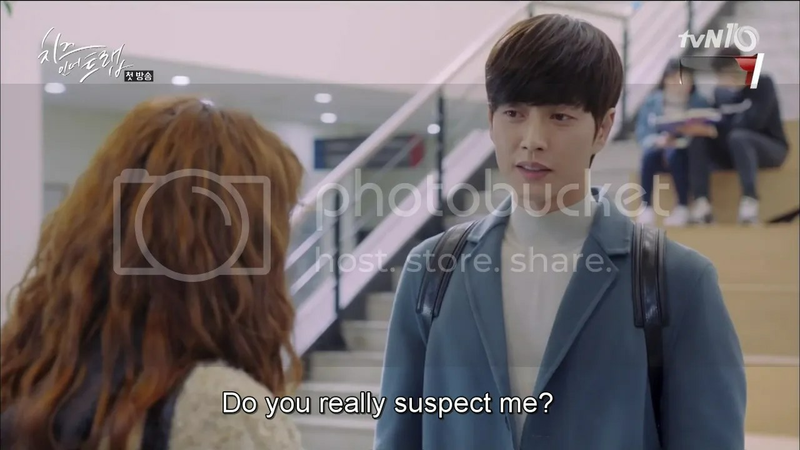 He prepares to storm out when Inha asks if he’s met Yoo Jung recently. She tells him that he’s changed a great deal these past few years. Jung sees the call but doesn’t pick up. 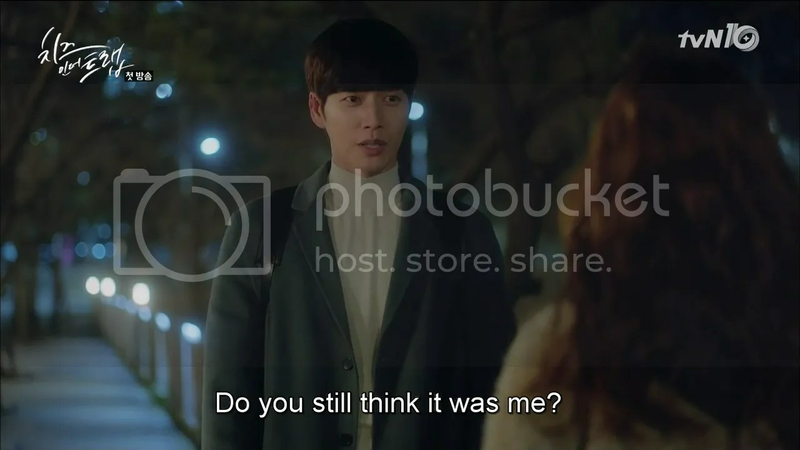 Inha scowls and pretends to talk to him, saying that Inho’s here and they should get together. She pretends that he has exams and can’t make it. Inho’s not precisely fooled. 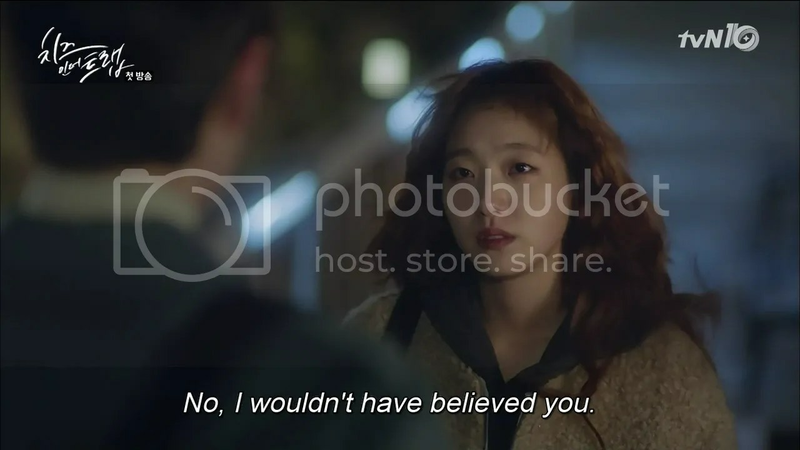 She tells him that it’s up to him to believe her or not but tells him what university Yoo Jung goes to. 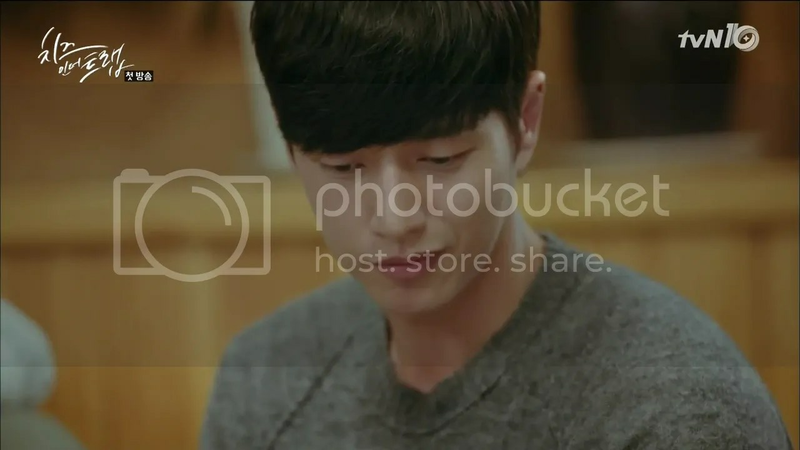 Inho leaves and she text Yoo Jung once more but he just deletes them. The next day, Seol decides to just work hard in Dr. Kang’s class. At least Yoo Jung isn’t in it. Guess who comes in then? 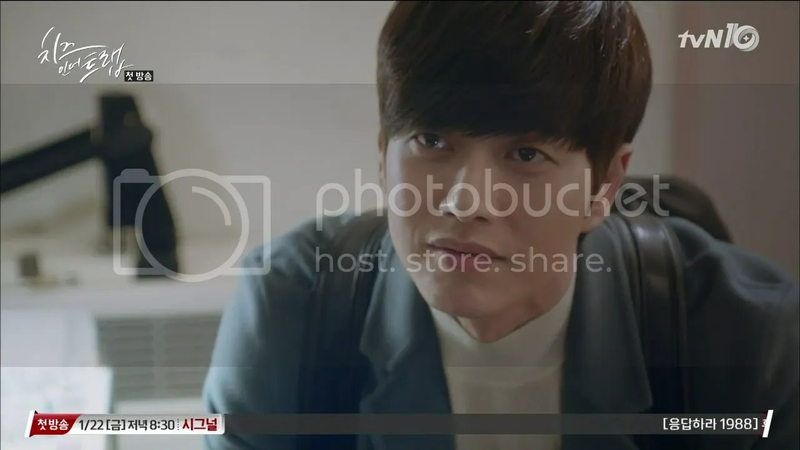 He breezes past Dr. Kang saying that he isn’t on the attendance list and sits beside Seol, saying that he thought the class would be fun. 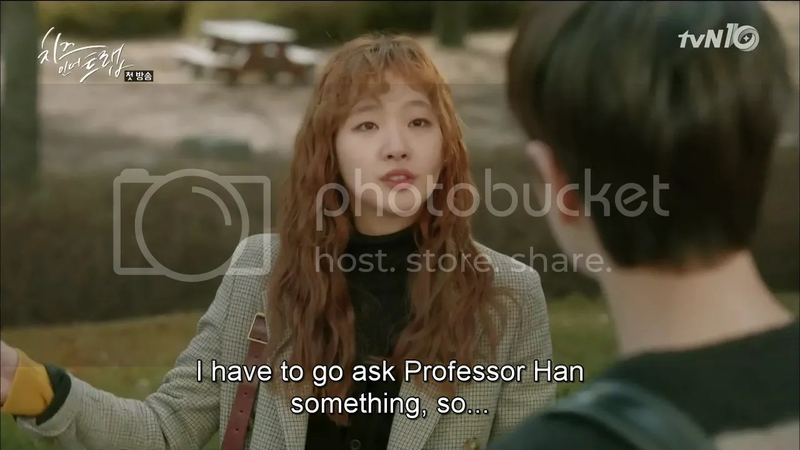 Dr. Kang gleefully remarks that intelligent people take her class while Seol waits for the floor to swallow her when Yoo Jung taps her shoulder. I love you blogs and how you recap. Thank you!